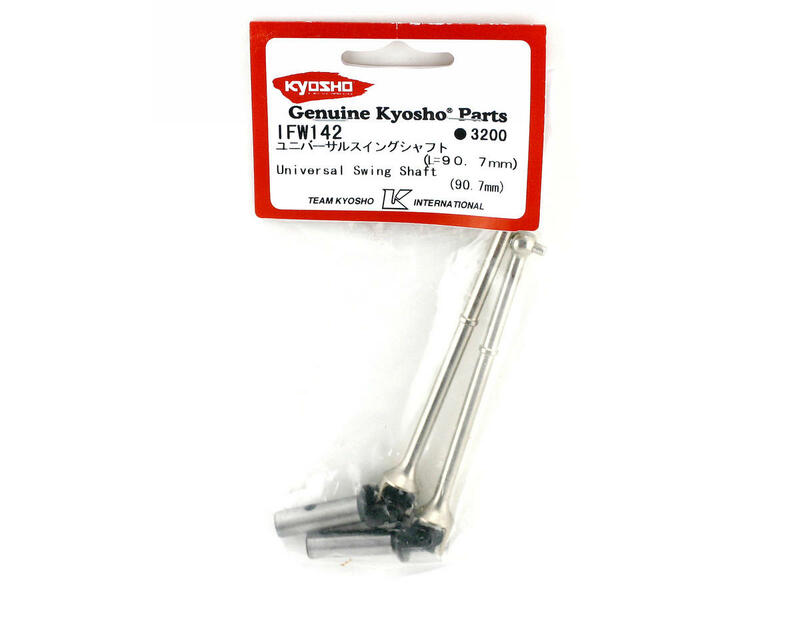 This is a set of replacement front universal drive shafts for Kyosho buggies, and fits the Inferno MP7.5 and Inferno MP777 family of buggies. 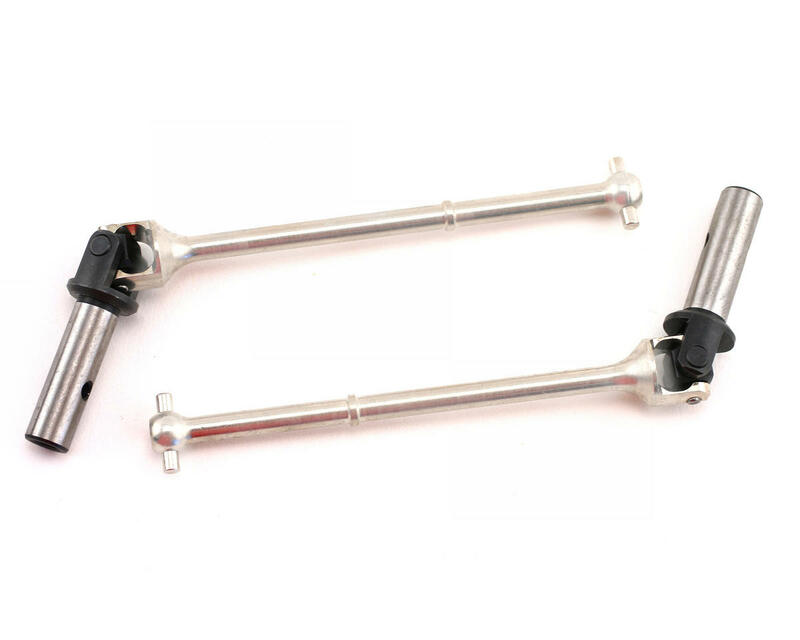 These are the standard universal drive shafts for the front of the buggy that come in the Kanai and Special versions of the buggies as well as all MP777 kits. Universals provide better power transfer and are stronger than the stock dog bones that come in the regular kits. These universals are 90.7mm long.